HOORAY! 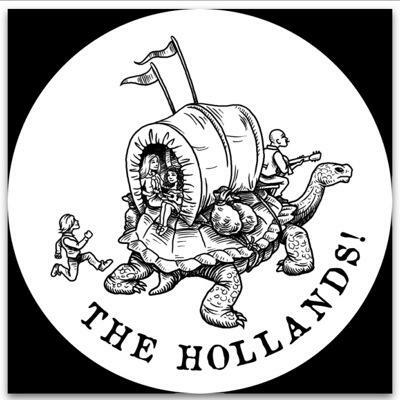 Folk Americana Family Band, The Hollands! are back in the studio, recording, The Last Dance, slated for release Sept 2018. As a family and as a band, we have been following our calling to be conduits of creativity and kindness for nearly a decade and it is our greatest honor and privilege to share “The Last Dance,” our 4th full-length album. The name is no coincidence, with the younger Hollands! beginning to launch out on their own, the name not only ties all of the lyrical themes together on the album but resonates with this season in our lives. The Last Dance is our most diverse and comprehensive album thus far. The album comprises of twelve songs, written over the last five years featuring stories of true love, life and death, family, a sense of home or safety, and more love. The final track is the infamous Celtic song we play at the end of most of our performances, “The Blessing”, which was written by our mate, Sammy Horner. Recorded over 7 days in the Blue Mountains of New South Wales, Australia with recording engineer, Chris Gillespie at his off-grid, solar powered, Blue Sky Recording Studios. The musicality of The Last Dance holds to the essence of The Hollands! Folk Americana sound with beautifully woven harmonies and core instrumentation of Guitar, Cajon, Mandolin, Banjo, Piano, and Ukulele. However, in true Holland fashion, we’ve invited an all-star cast to join us on this album! Composer and long time friend, Jeff Kurtenacker laid down an epic Hammond Organ track on one of the songs. As you can see, we’ve assembled an amazing team of collaborators to make this project a success and our desire is to be able to compensate those artists for helping us fulfill our vision for The Last Dance. This is where you are invited to join the fun! Your Pre-order and contributions not only help The Hollands! create a legacy through music but also supports a village of artists. You can do this by clicking HERE. Our goal is to raise $6,700 USD. This will cover all of our basic recording/production/printing costs and allow us to care for those who have contributed. Bringing something new and creative into the world is a deeply vulnerable thing to do, let alone to ask people to notice it, evaluate it, or pay for it. So, thank you for taking the time to consider partnering with us on the most important record of our career to date. We could not do this without you!